RISE has risen! For all those who’ve wondered what exactly is the deal with that Timothy character in RENEGADE, here’s your answer. 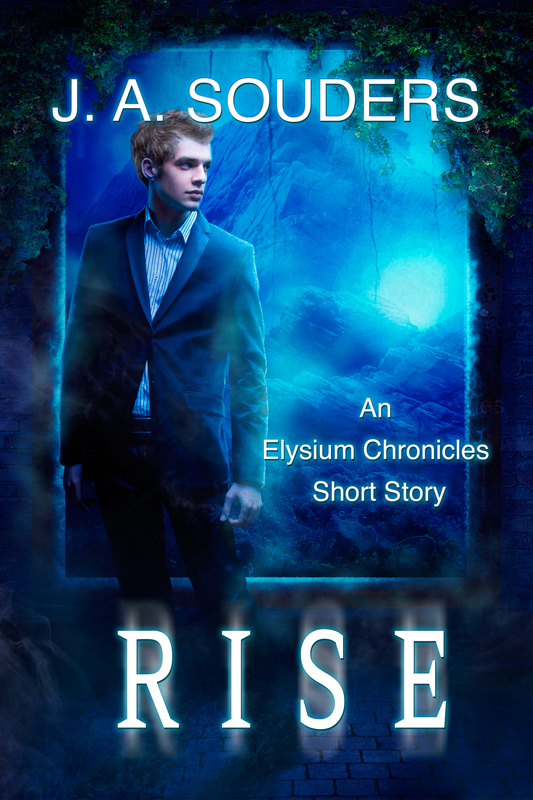 RISE is the creepy and thrilling new novella in the Elysium Chronicles. It’s a first-hand account of the events that lead up to the opening of RENEGADE from Timothy’s perspective. Timothy has lived his entire life in darkness, under the oppressive rule of Mother in the underwater city of Elysium. As part of the Underground, a rebel group opposing Mother’s dictatorship, he has one role: get close to the Daughter of the People, Miss Evelyn, in order to obtain enough information to take her and Mother down. He wasn’t supposed to fall in love with Evie. He wasn’t supposed to care. And now he has a choice: risk everything – his life, his mission, his people – to protect her…or sacrifice her for the justice of all. RISE is a chilling prequel to RENEGADE, an Elysium Chronicles short story. I’m so excited for everyone to read this one. Timothy was originally a character that was meant to catapult the story forward, but to my surprise there was a lot of people who wanted to know more about him. And once I got writing his story, I found out there was actually more to his story than even I know. It was an extremely emotional story for me, knowing what I know about him. I spent many hours writing and editing his story through blurry vision from tears, so I really hope that everyone likes this one. In celebration of this story, I’m hosting a Facebook virtual launch party here from 7:30pm EST (4:00pm Pacific). I’ll be giving away books, gift cards, fun Halloween things, and whatever else I feel like giving away, so I hope you’ll join me there tonight! Speak up: Comments Off on New Release! !